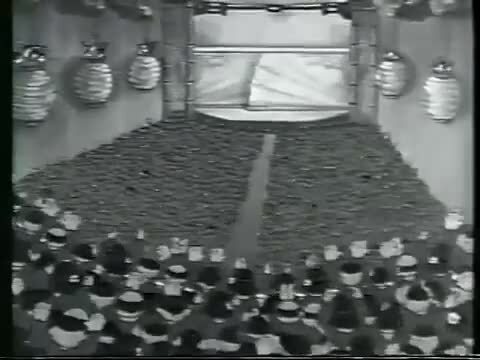 Betty Boop Visits Japan in 1937 ! This is one of my favourite Fleischer Bros. animated stories. Mid 1930's, and Betty Boop leaves NYC after a successful performance and flies her own plane to Japan. She even sings part of her number in Japanese. A charming little piece of history, especially given what the near future held in store. Does a similar nightmare scenario await us also, maybe 5 to 10 years ahead? In 1937, USA, Britain, Canada and Japan could look back at the First World War, and recall how they had all fought on the same side. Within just a few years of the making of this short little anime, Japan and USA were at war. The war ended with the terrible destruction of many of Japan's cities. Yet it was also a very successful outcome, in that it broke the power of Japanese facsists, allowed Japan to become one of the most wealthy and economically successful nations in the modern world, and re-connected the historical economic and cultural bond between the Japanese and the American peoples. A military attack on Japan is now considered to be the same as military attack on North America, and can be expected to be met with an overwhelming military response that would be unusally fierce in both intensity and effectiveness.